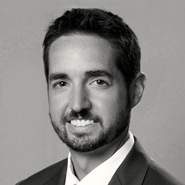 Thomas Drennan has experience with appellate work in Illinois, Minnesota, California, Louisiana, and New York. In Illinois, his appellate experience includes the representation of an employer in connection with a claim for contribution and indemnification arising out of a written contract between the parties relating to electrical work at a power generating station. Mr. Drennan successfully argued before the appellate court that the indemnity obligations included in the written contract did not extend to the indemnitee’s own negligence. In New York, he represented an insurance company in a matter involving a company selling shampoo that closely mirrored a popular name brand shampoo. He successfully argued before the appellate court that the client’s denial of coverage was correct, and there was no coverage under the relevant policy of insurance.